Unlock employee potential. .......Maximize engagement........ Achieve next-level performance. and help change the world at the same time, as a nice-to-have. We solve people problems along the way, too. We assess people for positive mindsets. We survey employees about positive workplaces. We have solutions to develop both. Positive organizations dial into people’s fossil needs – what really matters to employees and customers. They create a positive, perpetual motion machine that keeps getting bigger, faster, and wonderfully out of control. What will your organization do with yours? He•li•os (ˈhē-lē-əs) was the personification of the Sun in Greek mythology. Sun, light, and warmth are frequent symbols in positive psychology. 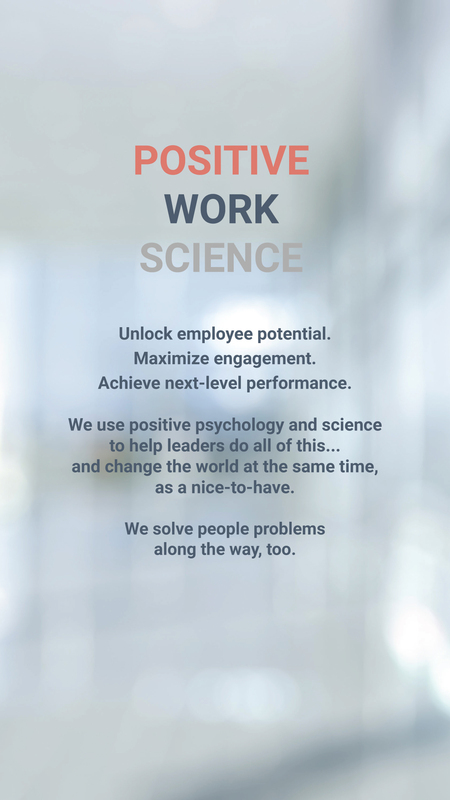 We’re PhD-level behavioural scientists who offer only evidence-based, HR and organizational solutions. We offer no opinions, biz media hearsay, gut intuitions, nor educated guesses. We conduct up-front diagnostics using validated tools to assess your organization’s unique challenges, and to inform the right solutions. We do all of this with humour and lightness.